'You had a chance to stand on the side of justice,' Waters laments in whining letter to the rock legend. 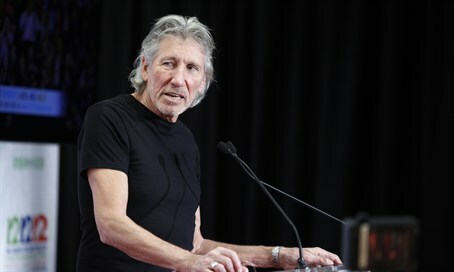 Roger Waters returned to singing his old anti-Israel chorus on Friday, this time sending a finger-pointing letter to Jon Bon Jovi for daring to perform in Israel on Saturday. Bon Jovi announced the concert in June after cancelling years ago due to leftist pressure. Yet, just 24 hours before the concert, Waters penned an open letter condemning Bon Jovi for his choice, claiming he "had a chance to stand on the side of justice." "You stand shoulder to shoulder with the settler who burned the baby, with the bulldozer driver who crushed Rachel Corrie," Waters stated, according to Haaretz. Waters is one of 700 British artists who signed a letter boycotting Israel earlier this year, and has spent the last several years penning open letters to artists who ignore political interference with the music industry - including, most recently, Robbie Williams, Alan Parsons, and the Rolling Stones. In this letter, Waters defended his meddling, claiming he is "encouraging them not to give succor to the Israeli governments apartheid policies by performing in Israel." Waters's anti-Israel antics have frequently bordered on anti-Semitism. Waters has also falsely testified to the UN that Hamas “is open to permanent peace with Israel” - a direct contradiction of Hamas’ own statements.